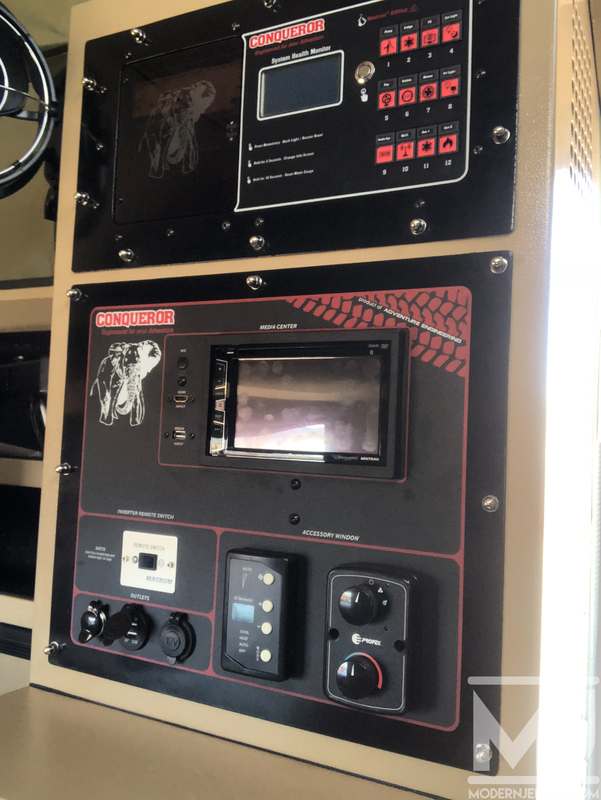 When it comes to basic “overlanding,” we typically think of taking our Jeep into the back country and being self sufficient…meaning we carry everything we need in our rig. But what about when you plan to be gone for an extended period of time? 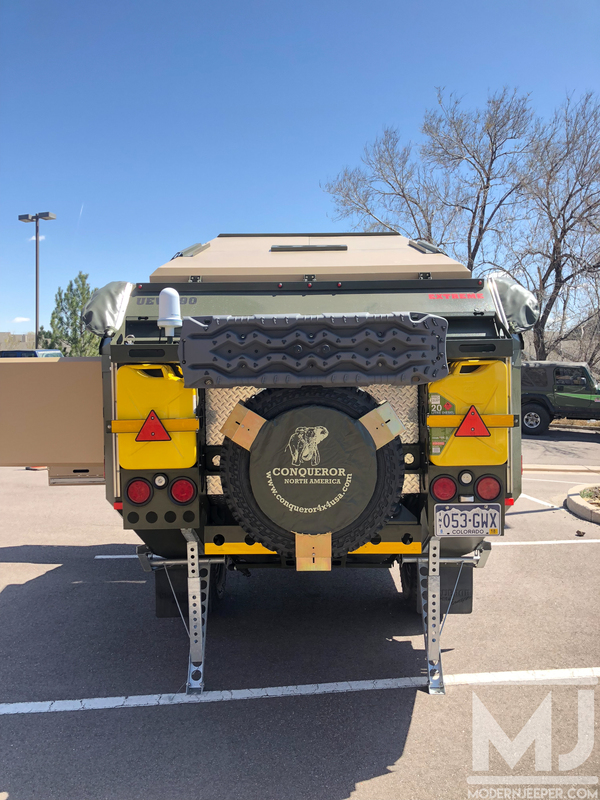 Or what if you want to go do more extreme off-roading and don’t want to take all of your gear with you? 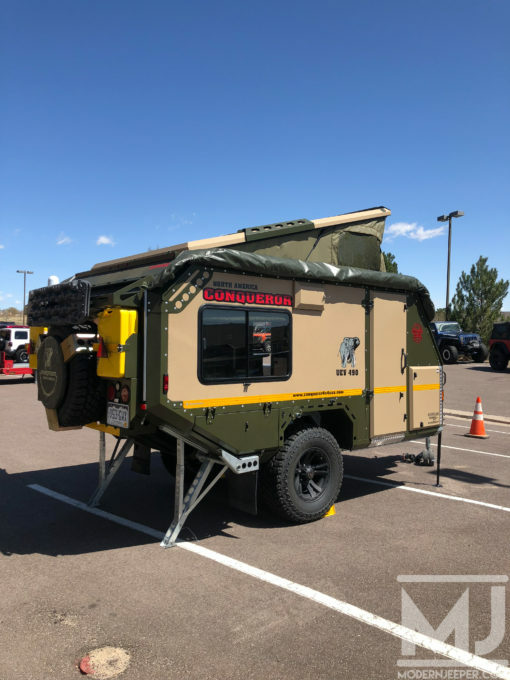 Or how about being able to fit gear, food, water and other necessities for your family of four in your somewhat small Jeep? Well, luckily there are manufacturers out there that want to help you solve those problems. Welcome to the world of extreme campers! 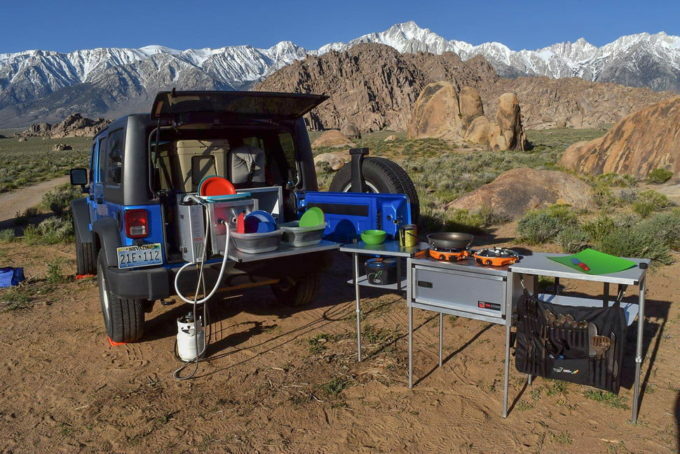 These are not your ordinary campground pop-up towables. These campers are made for extreme conditions. 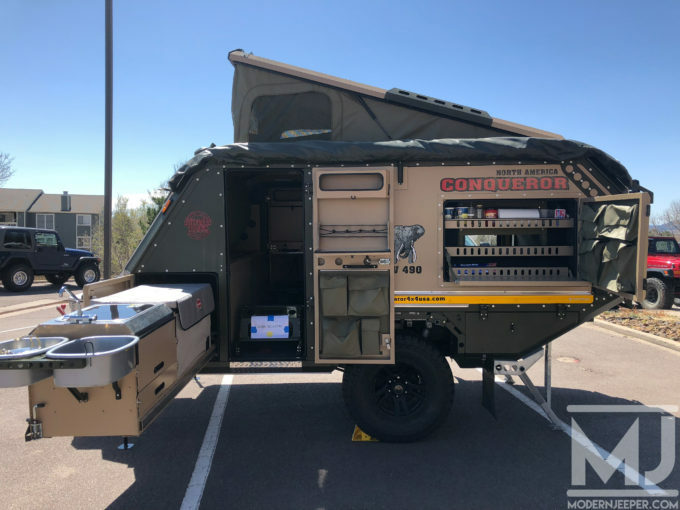 And while there are many manufacturers out there to chose from, I had the chance to crawl around a camper made by Conqueror Off-road. 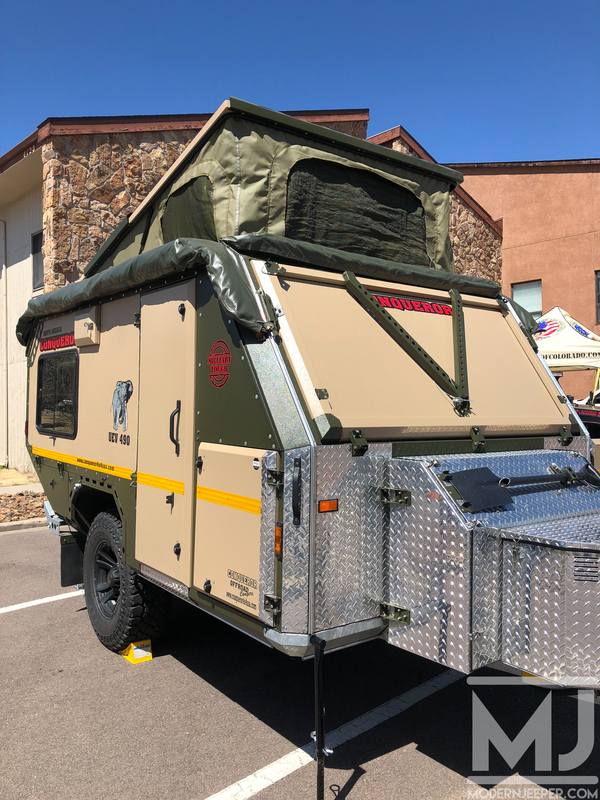 These are military grade, safari and outback tested camping trailers. 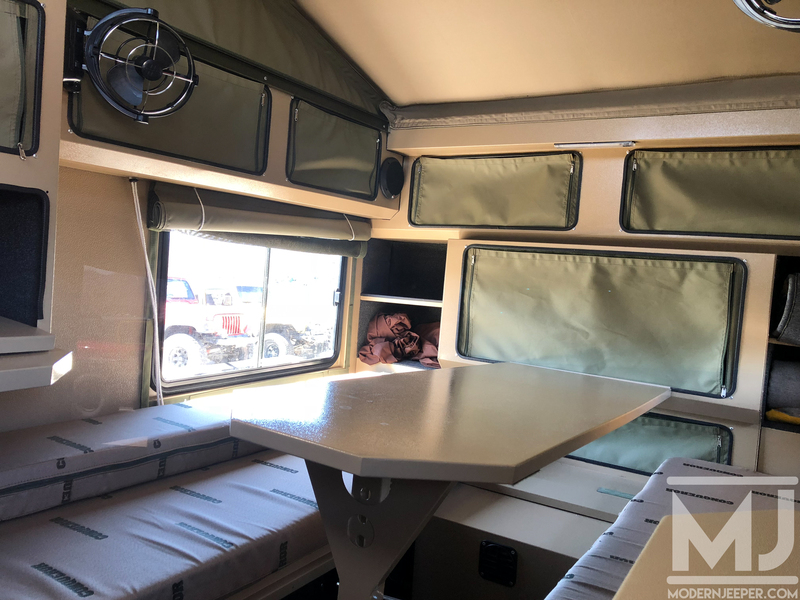 With models starting as low $20k (UEV-310) all the way to to the high $40k UEV-490, these campers are made to go with you…wherever that happens to be. The model that I got to look at was their flagship model, the UEV-490. And…it is amazing! 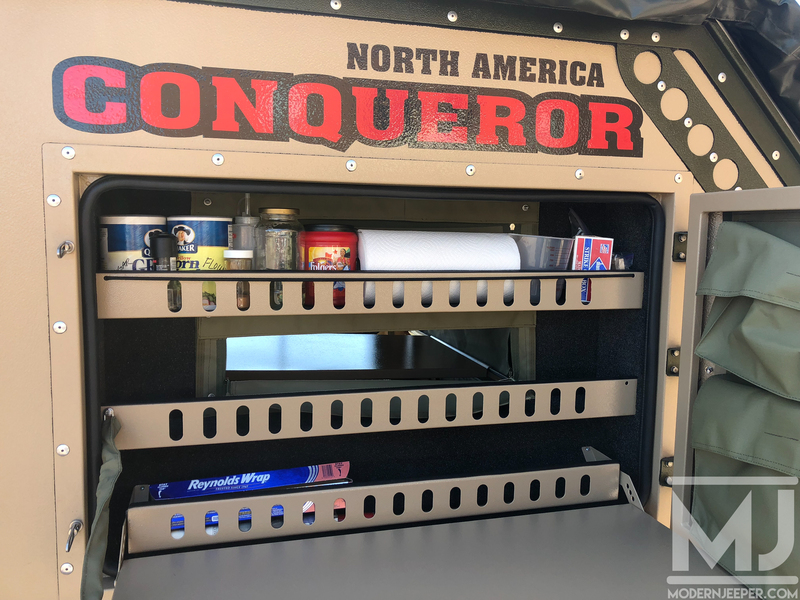 Conqueror’s UEV-490 Extreme stands alone as the company’s flagship model. This versatile hard-shell hybrid can be parked and accessed straight away, while the easy-to-setup 360-degree awning provides excellent additional cover. 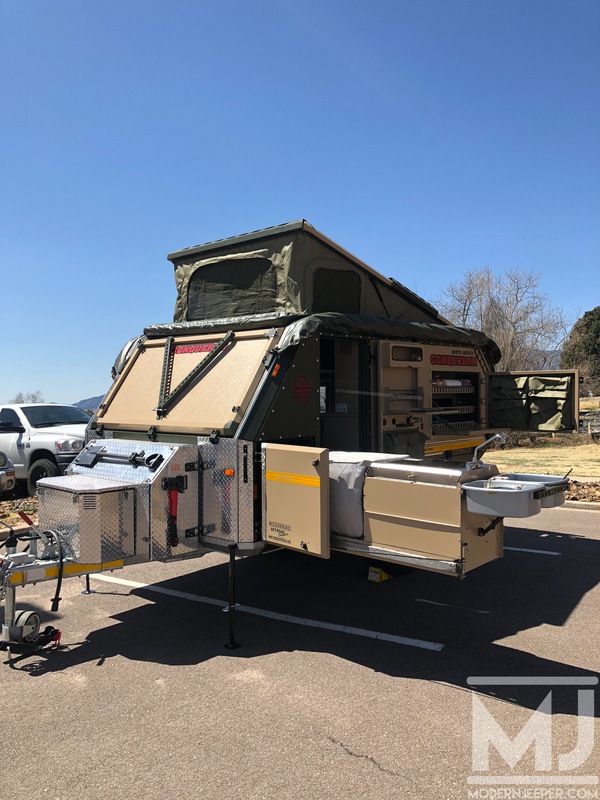 The UEV-490 has a body shell made from electro-galvanized steel and exudes toughness with a steeply swept-up rear for the best in departure angles. The patented independent suspension system ensures impeccable weight distribution with its inherent strength lying in the chassis. Masterfully balanced, the UEV-490 Extreme is effortless to tow on road and legendary off the beaten track. This top of the range model boasts fully equipped living facilities. 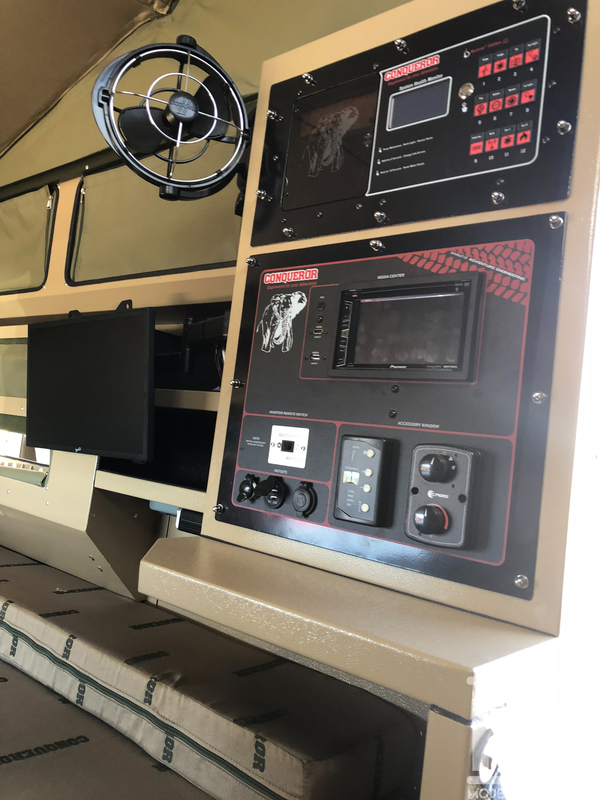 Additional innovative features include the interior pressurizing blower to keep the dust out, high-lift jacking points and spare wheel, complete with hub and bearings, for additional security when going off road to remote destinations. Families will fall in love with this truly ultimate off-road luxury camper. As we all know, quality products come with high price tags. But remember this is the top of the line with prices starting in the $40k range! Just take a look at these specifications for the UEV-490 model! 50 Thousand Bucks…Really, not going to happen!